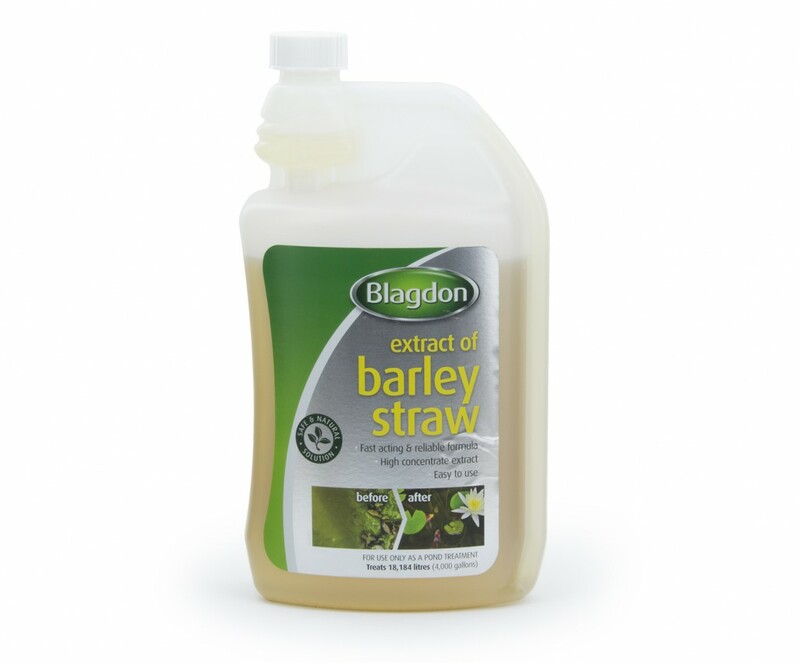 Extract of Barley Straw is a fast acting and reliable formula for treating ponds with green water, algae and blanket weed problems. 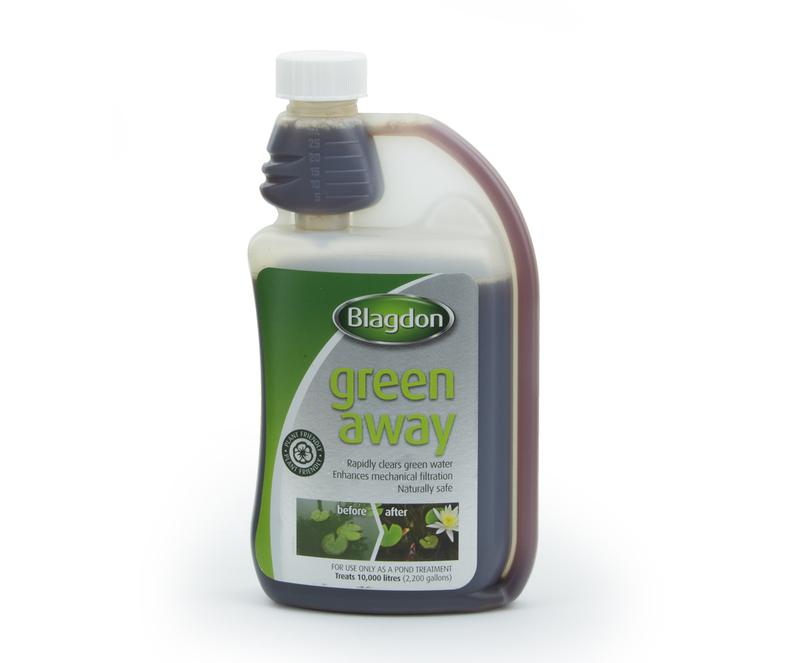 The formula is a highly concentrated and easy to use for quick, natural results. 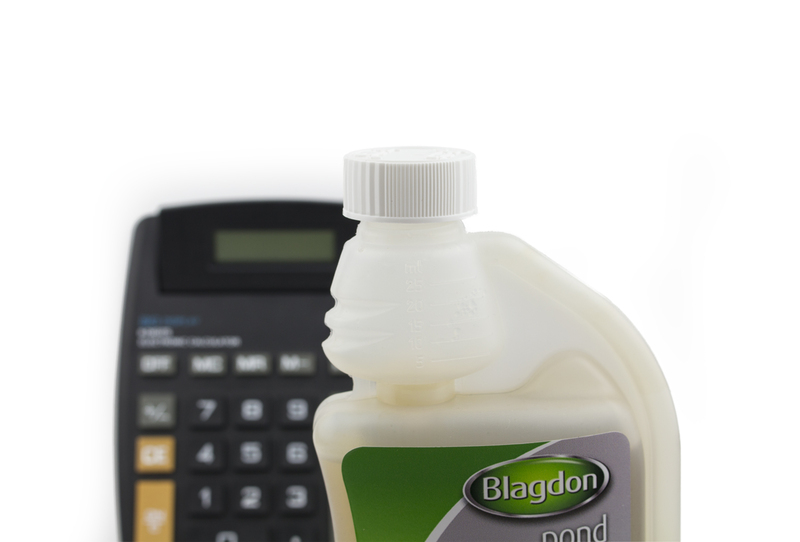 Add 1 x 25ml measure for every 909 litres (200 gals) of pond water. 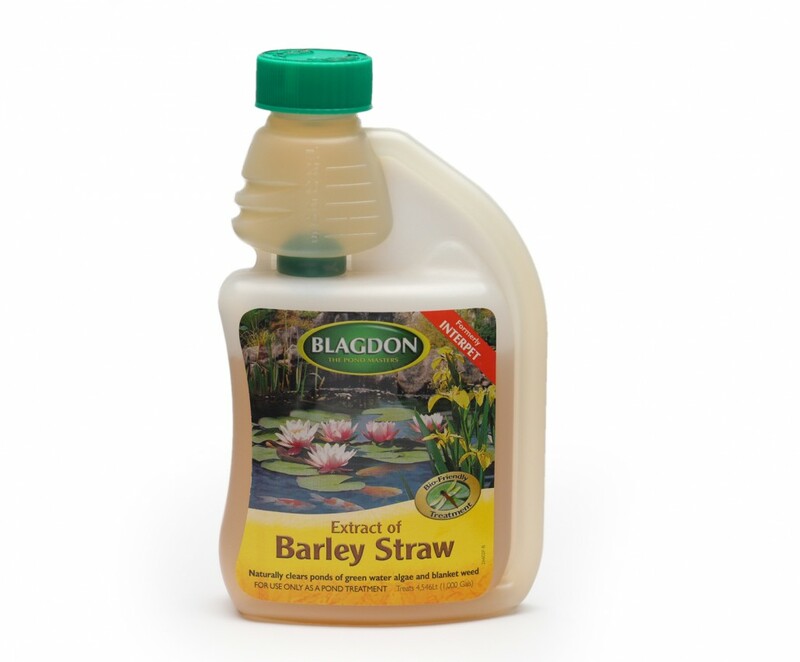 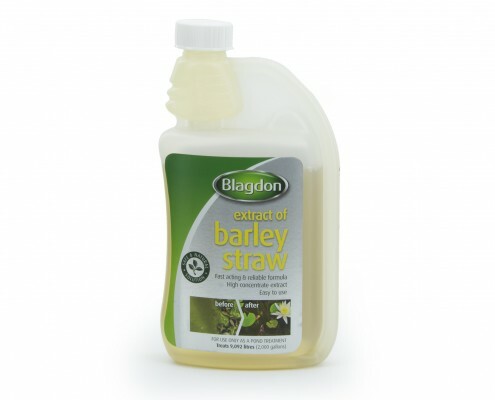 We recommend adding Extract of Barley Straw to a bucket of pond water and then distribute this evenly over the ponds surface. 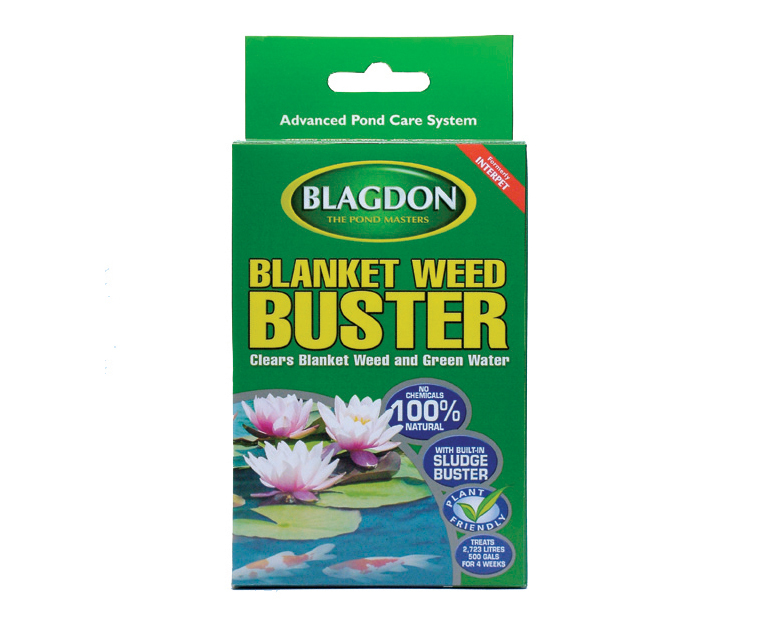 To prevent further new algae growth we recommend removing the dead algae as it appears and treating with Blagdon Sludge Buster, this prevents oxygen levels dropping which may harm fish and the release of nutrients which stimulate further algae problems. 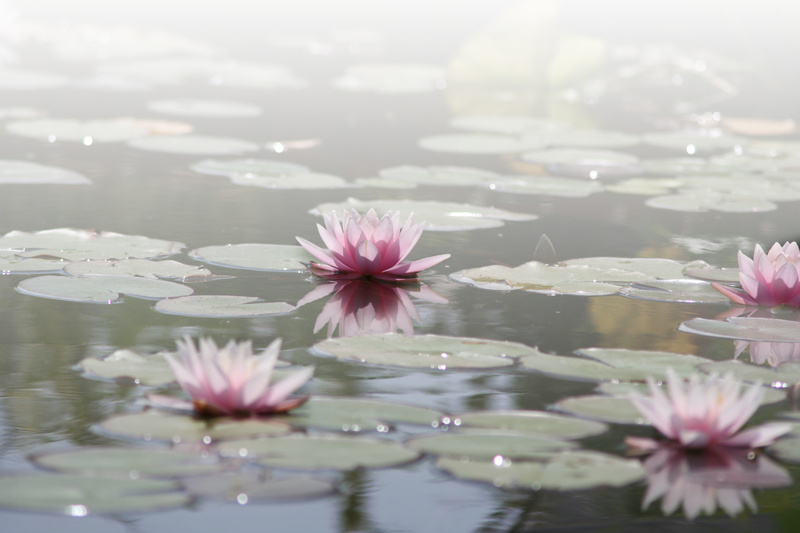 Extract of Barley Straw may be used in ponds with filters and all species of pond fish, plants and water using wildlife. 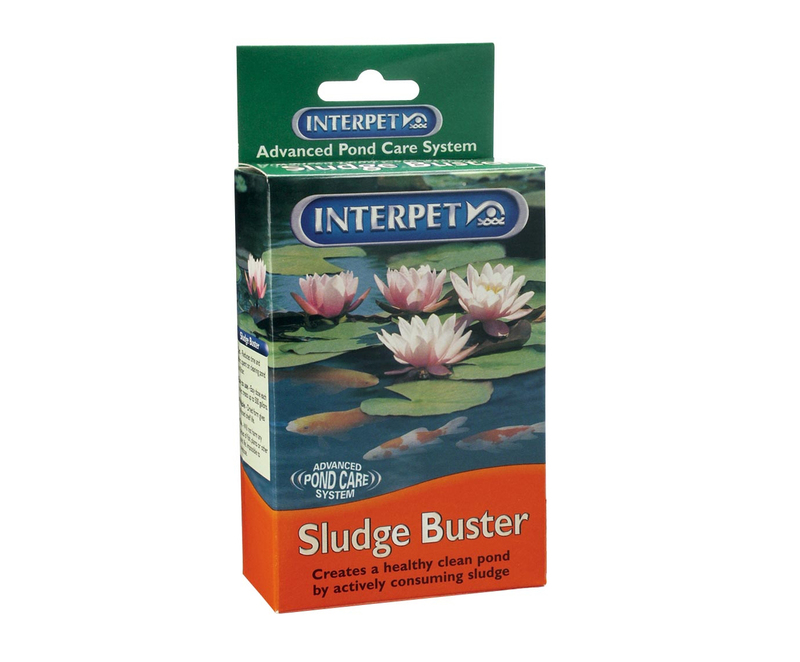 The product contains no synthetic chemicals or artificial pesticides. 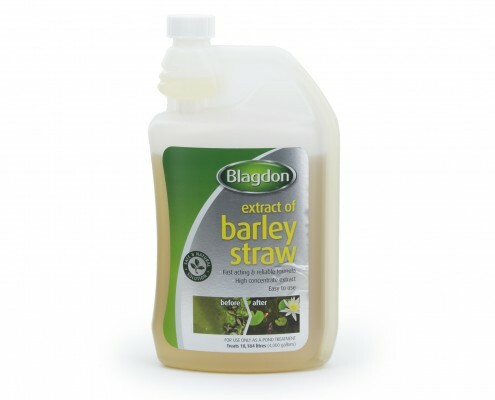 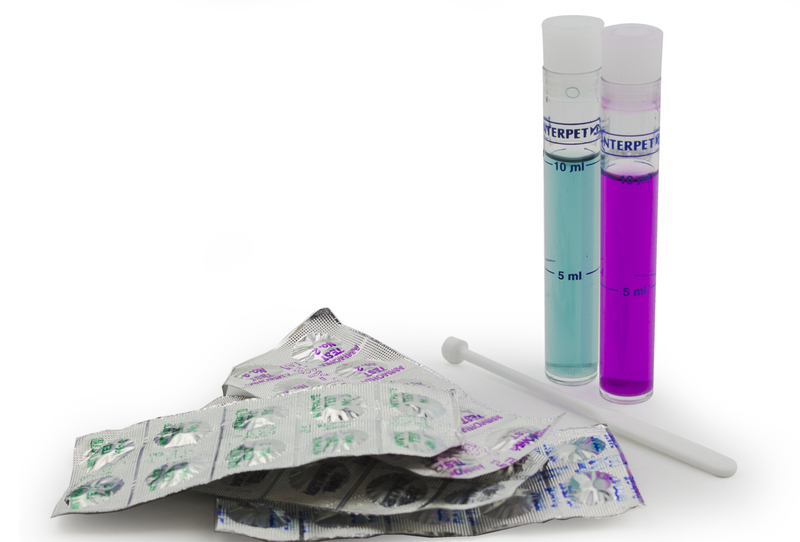 This product does contain aqueous barley straw extract as a source of hydrogen peroxide.